Air-to-air view of B-29 in flight, taken from above, of the rear starboard quarter. On the ground there are fields, roads and scattered buildings. Part of a built up community is visible in the bottom left. The top third of the photograph is a taken up by part of the port wing and first engine cowling of the plane from which the photograph was taken. 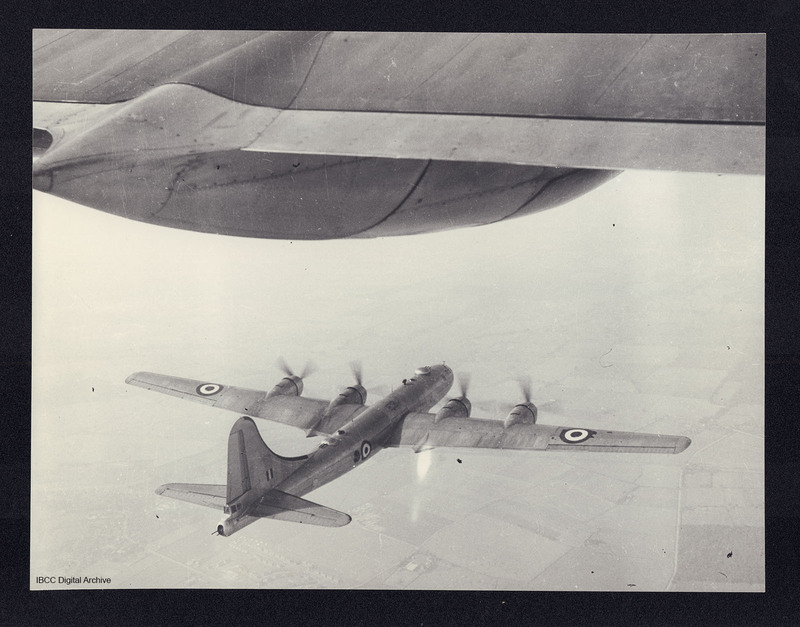 “B-29 in flight,” IBCC Digital Archive, accessed April 24, 2019, https://ibccdigitalarchive.lincoln.ac.uk/omeka/collections/document/16199.